Our Cerea® range of 100% natural dog snacks are all vegetable based and made from natural ingredients. Cerea® is the vegetarian dental chew which is completely digestible and designed to clean the dog’s teeth. The chews are healthier, higher-quality and funnier. 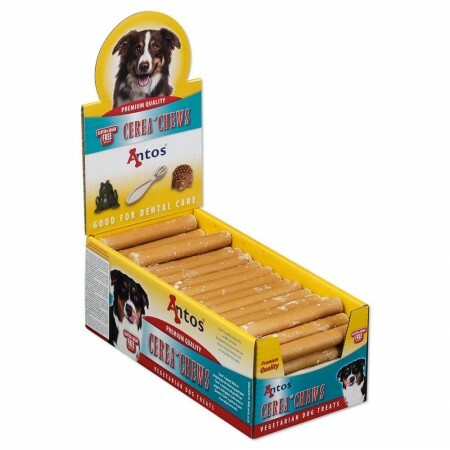 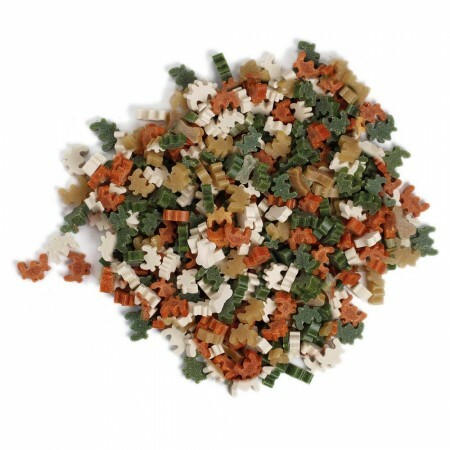 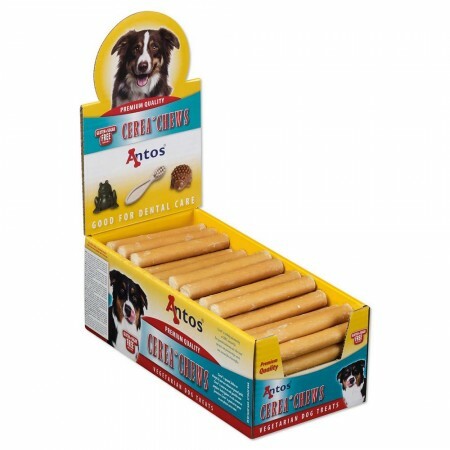 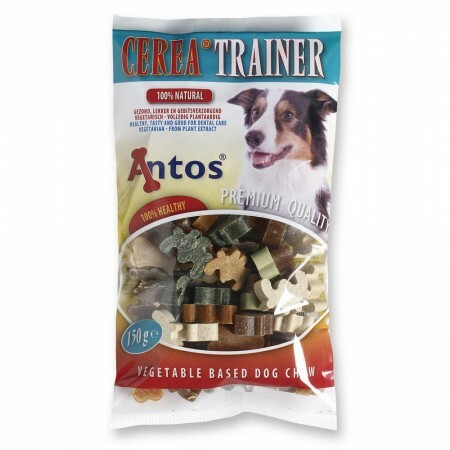 They are free of gluten and sugar, so they are a great solution for dogs with sensitivities. 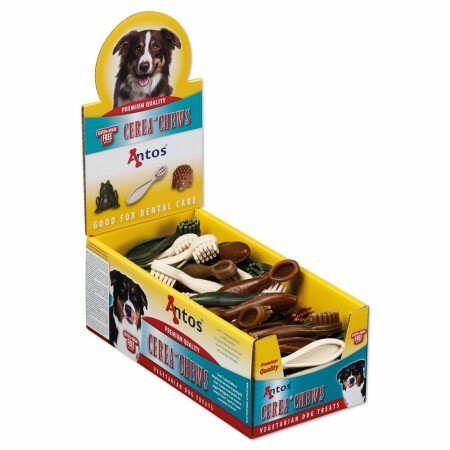 Dental hygiene is as important for dogs as it is for humans. 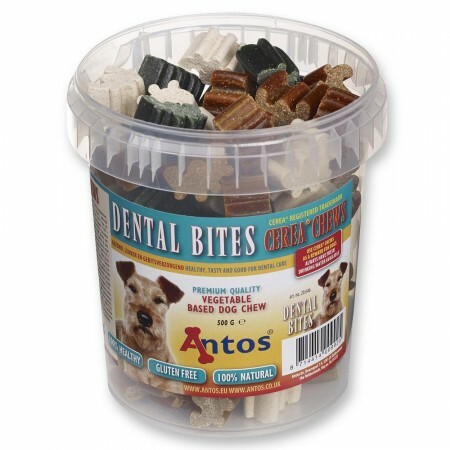 Freshen up your dog’s breath by rewarding your four-legged friend with our vegetarian dental chews. 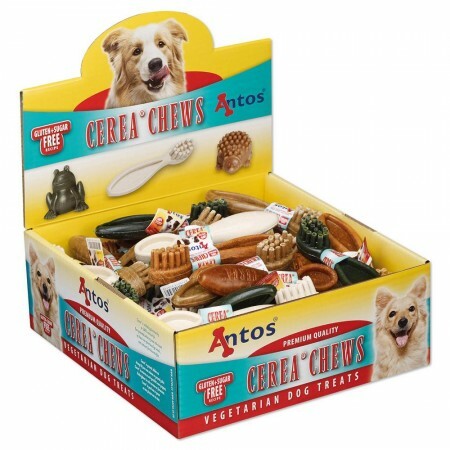 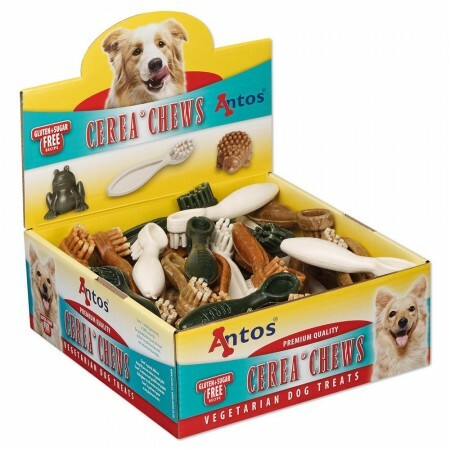 The chewy textured treats are designed to promote daily oral health by reducing tartar buildup, cleaning teeth and freshing the breath. The Cerea® chews are healthy and tasty. 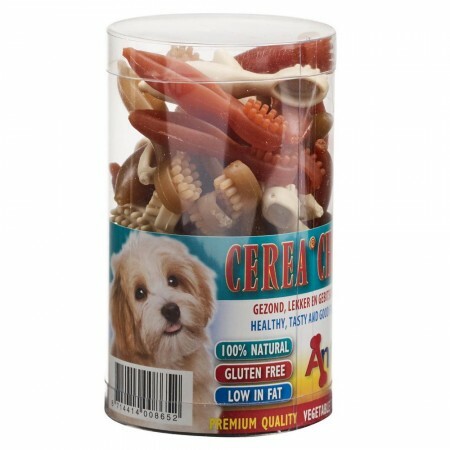 Gluten-free and sugar-free. 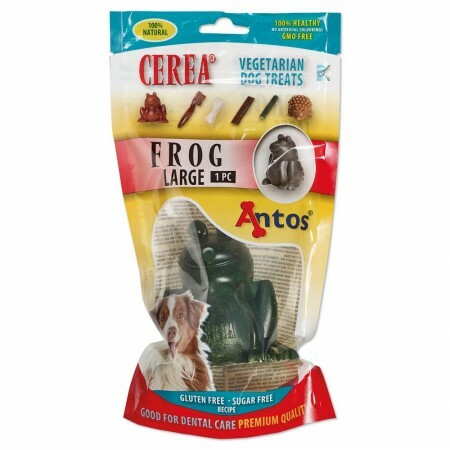 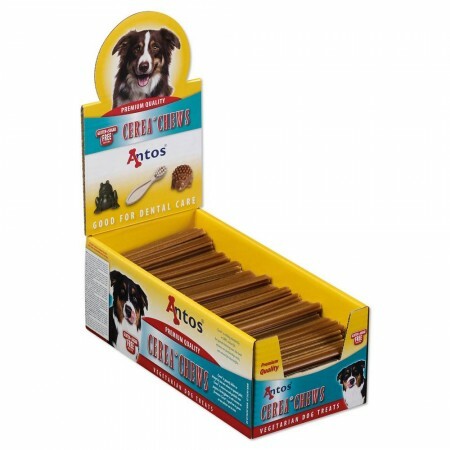 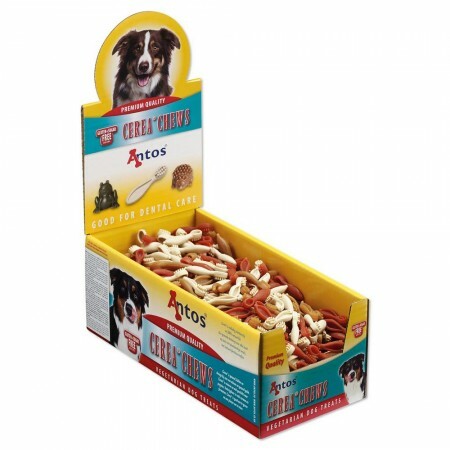 GMO-free and completely digestible, making them a great reward for any dog. Dogs love the tasty flavours and delicious ingredients. You can feel good about giving your dog a treat that’s rich in protein, low in fat and made with only natural ingredients. 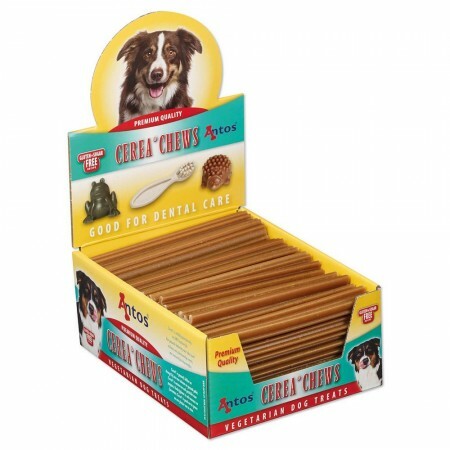 For cleaning teeth throughout a long and healthy life together, try Cerea® chews. 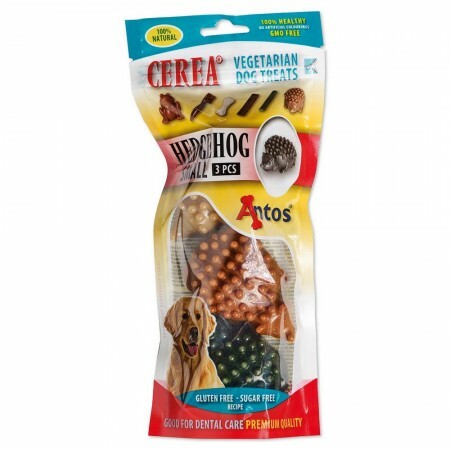 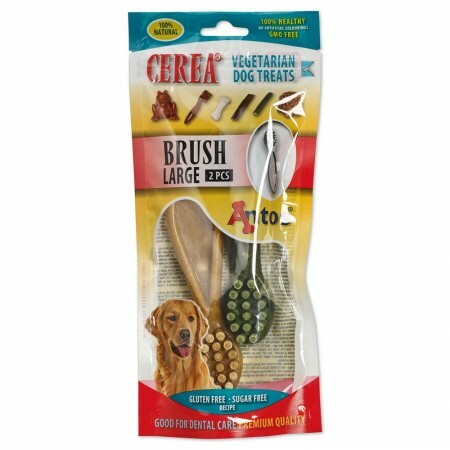 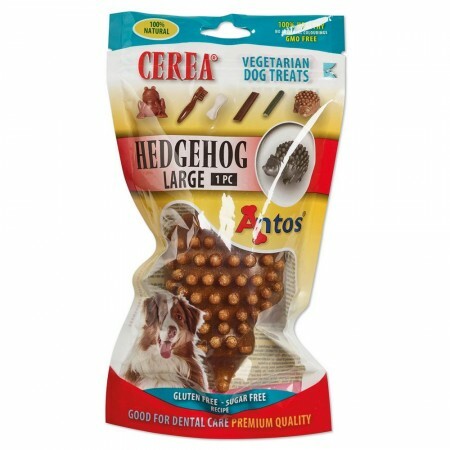 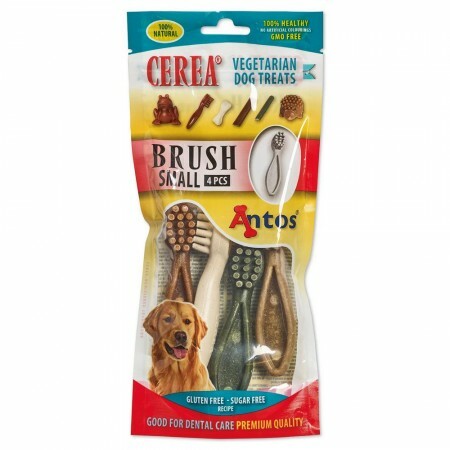 The Cerea® Hedgehog shaped chews are covered in deep knobbly spines designed to clean the teeth when chewed. 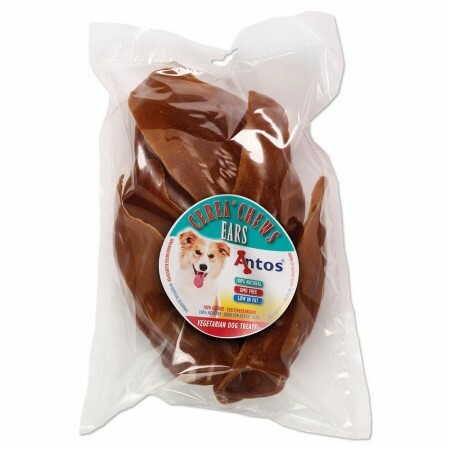 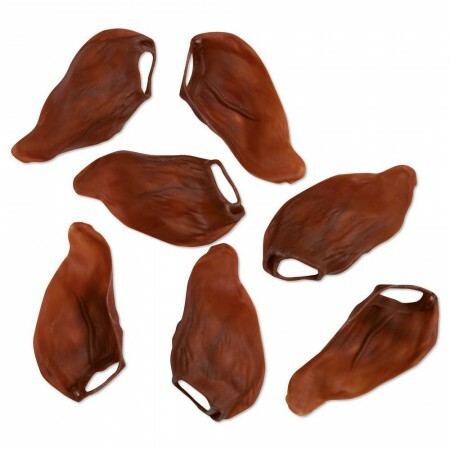 Coming in a variety of colours, these chews have a hollow underside which makes them great chews for filling with dog friendly spreads, nut butters or pates, to keep your dog busy and alleviate boredom. 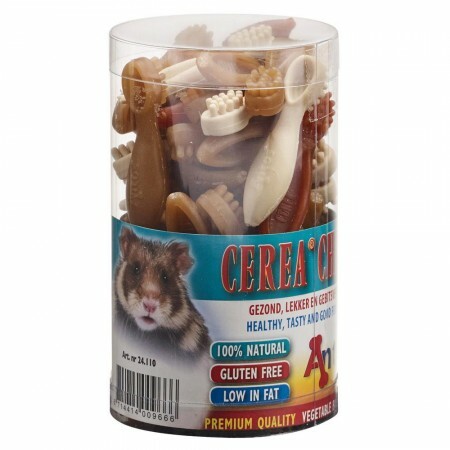 Our Cerea® Rice Bone treats are a completely natural, vegetable based snack with a minimal fat content. 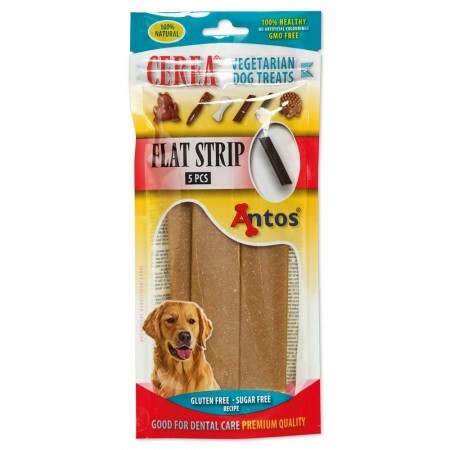 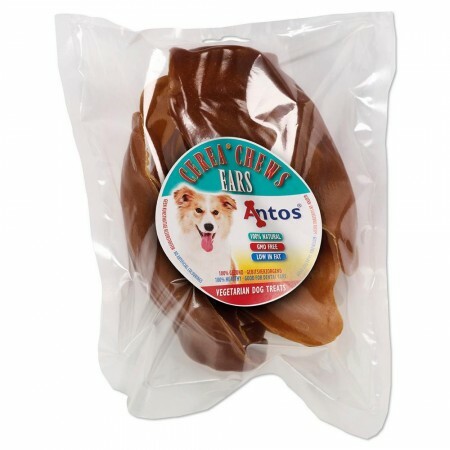 This tasty and hard treat has a hollow back making it great for cleaning teeth as your dog chews on it. 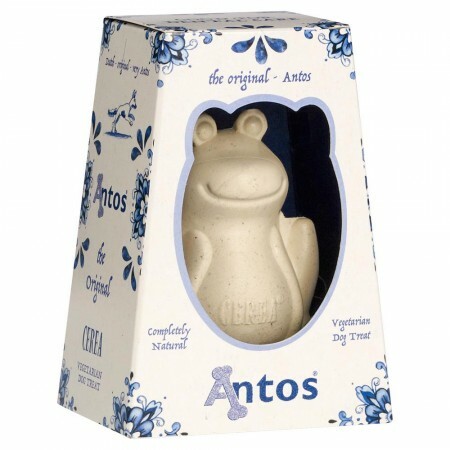 Made from rice protein and hypoallergenic potato, free from artificial additives and colourings. 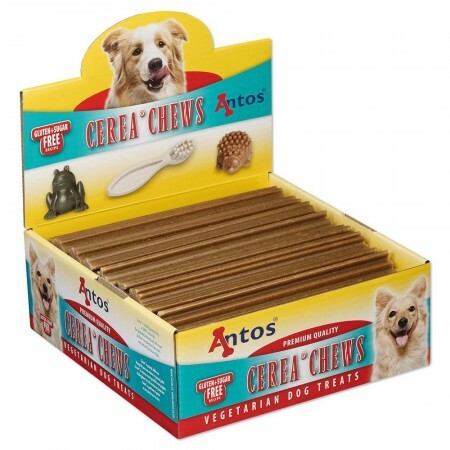 Especially good for sensitive pooches. 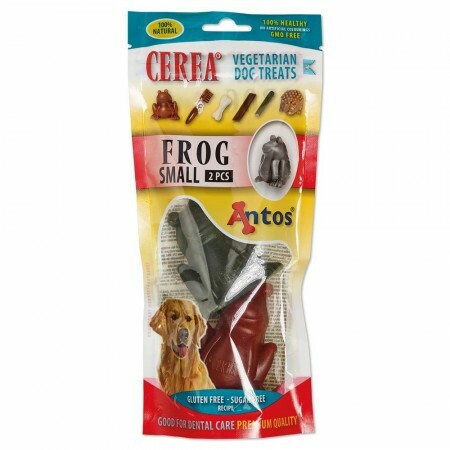 The Cerea® snacks are available in a variety of exciting shapes and sizes, which makes it perfect for small and large dog breeds.